When you record from a Skype conversation, it requires a bit more setup. Depending on the Skype recording program you have, it will record in either one or two channels. Test your program first to find out which. If it records in one channel (Mono), you’ll need to make sure before every episode that the sound levels are relatively equal. Record everyone (including yourself) speaking clearly at normal levels, then play it back to yourself. You may need to request certain people adjust their microphone levels; you may also need to adjust your own levels. 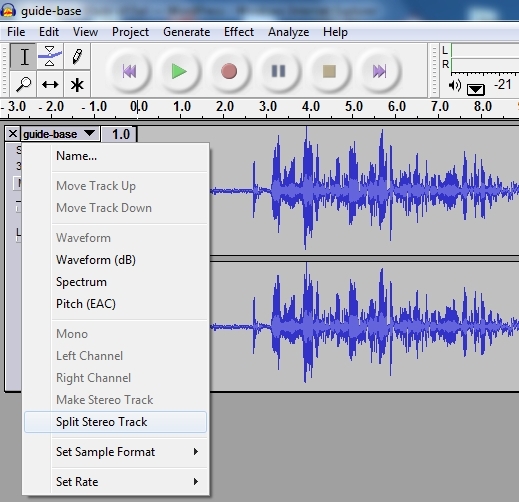 Record the podcast and save it as an .mp3 file for editing. If it records in two channels (Stereo), do all the above as normal. 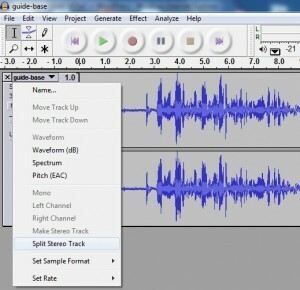 Once you save the audio, open it in Audacity. The two channels are split up into Left and Right. One is you, one is everyone else. 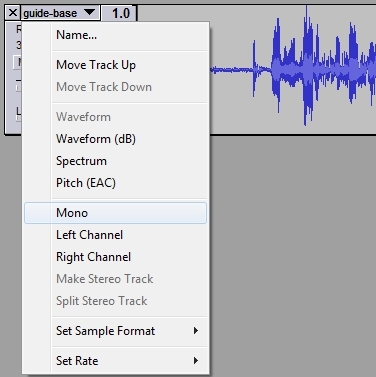 Click the dropdown menu on the audio track and select “Split”. It is now two separate tracks, but it’s still Left and Right. Click the dropdown menu on each and select “Mono”. Finally, hold down shift and click each track’s menu, selecting both of them. In the “Edit” menu above, click “Quick Mix”, which will combine the tracks back into one.